The election season is upon us and with it come a series of Forums hosted by various community groups around the city. Voters are welcome to attend any of the Forums, as well as meet the candidates and pick up their literature. Each Forum is different so attending one doesn’t mean you’ve seen them all. The hosting community groups are independent and nonpartisan, do not endorse candidates, choose the moderator and format, and determine the questions. Rockville Channel 11, the City’s cable television station, will air three of the Forums live in October on cable on Rockville Channel 11 or online at www.rockvillemd.gov/rockville11. They will also make them available on the City’s YouTube channel at www.youtube.com/cityofrockville. Tuesday, Oct. 15 – West End Citizens Association, time and location tbd. Thursday, Oct. 17 at 5:30 p.m. – Chamber of Commerce at Montgomery County Media, 7548 Standish Place. Mayoral debate at 6 p.m.; Council debate at 7 p.m.
Tuesday, Oct. 29 at 1:00 p.m. – Senior Forum at the Senior Center in the Woodley Gardens neighborhood. This is the best information I have available and is subject to change. Please confirm with the hosting organization for last minute changes (the televised Forums are confirmed because of the equipment required; the others are less certain). If you are aware of changes or corrections, you’re welcome to post them in the comments below. City of Rockville elections are held every two years, at which time the mayor and four council seats are up for election. 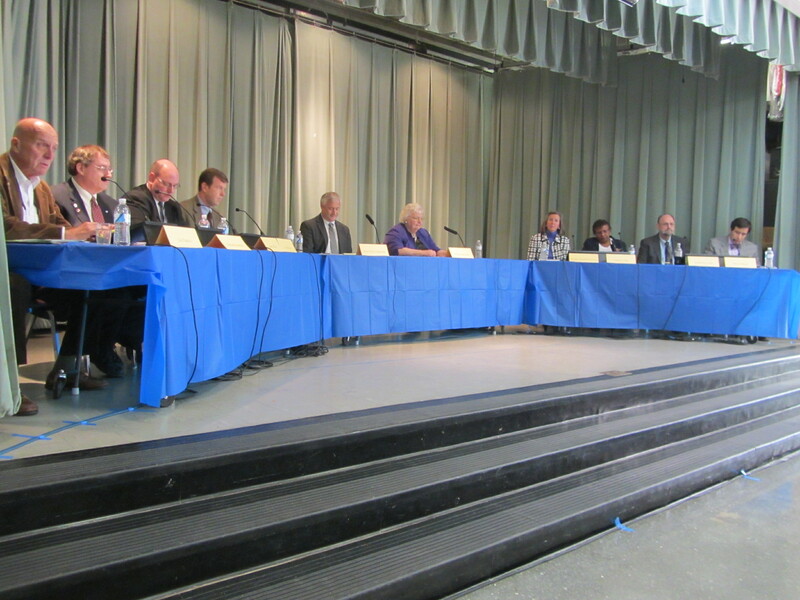 There are two candidates running for Mayor and six candidates running for four Council seats. The November 5 ballot will also include three advisory questions on changes to the election cycle, council seats, and council terms. Subscriptions to this blog are automated to reduce maintenance. At the bottom of every email, you will find a link to easily edit and manage your subscription, including deletion.